Home security drone system has been creating enormous buzz on social media in recent years, bringing new leaps toward home security and home surveillance. 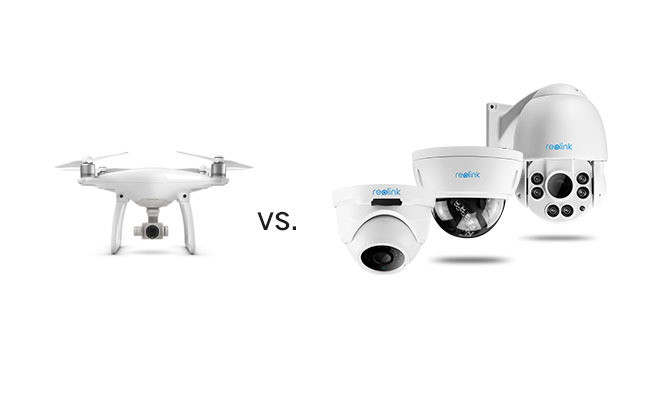 Today we delve into all the hype and help you better understand the differences between home surveillance drones and smart home systems. How Do Home Security Drones Work? The unmanned aerial vehicle or drone is not novel, and it is widely used in military operations or scientific research. On November 5th , CNN reported that Arctic expedition teams resort to autonomous drone for navigating through blocks of ice. 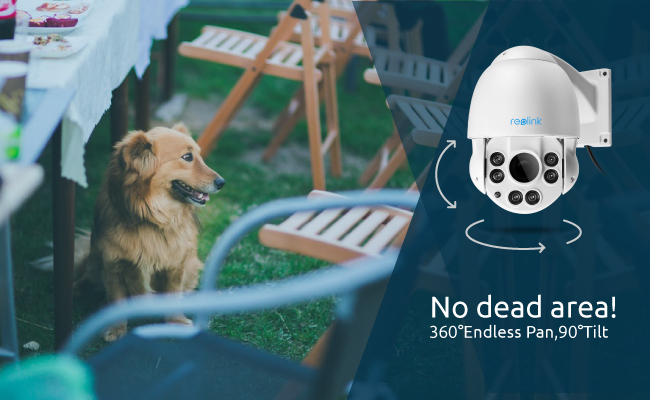 Security drones for home surveillance and monitor have been all the rage recently, with many companies including BrdsEye, Airborne Drones, DJI and Secom launching their security surveillance drones into the market. 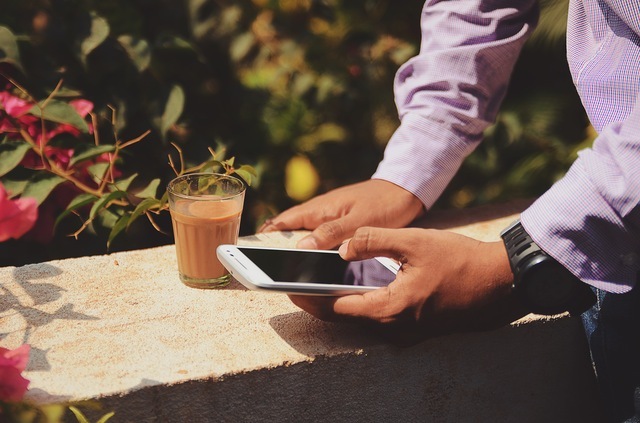 A few days ago, a California-based startup Sunflower Labs introduced its Sunflower Home Awareness System into the world and garnered huge public attention. Sunflower Home Awareness System combines in-ground sensor-packed Sunflower Smart Lights with Sunflower Flying Camera. This promising home surveillance system would use solar-powered sensors to detect physical movement, any acoustic signal and even vibrations on the ground, and a home security drone to approach the areas of interest once further investigation command is given. 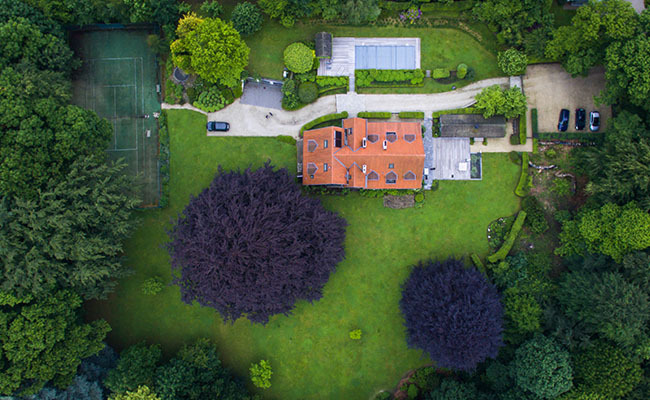 Even though the mechanism for varible residential security drones differs slightly, most of surveillance systems use drone security cameras to provide terrestrial feedback and aerial observations on the property. 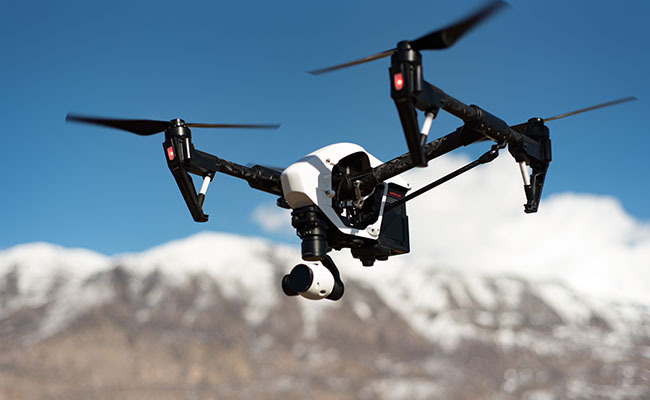 Some drone surveillance systems even integrate more advanced technology into the drone such as thermal sensors or ability to chase the suspicious person. The functions of home security drone systems share a great deal in common with smart home security systems, as both strive to create a smart and safer home and make your family feel safer and securer. However, the drone security systems also differ from regular home surveillance systems in many aspects, such as 24/7 monitoring, motion detection, impact on privacy, regulation, etc. One of their big differences is that drone security systems cannot hover around the property 24/7 because the battery cannot sustain long-hour surveillance. In such scenarios, it’s impossible for home security drones to have a complete sweep on your property around the clock. If you want to have your drones for home security patrolling your premises 24/7 in shifts, that means you’ll shell out a large amount of money for more than one security drones. Moreover, many video camera drones will only be launched manually or automatically to the places of interest once abnormality was detected. 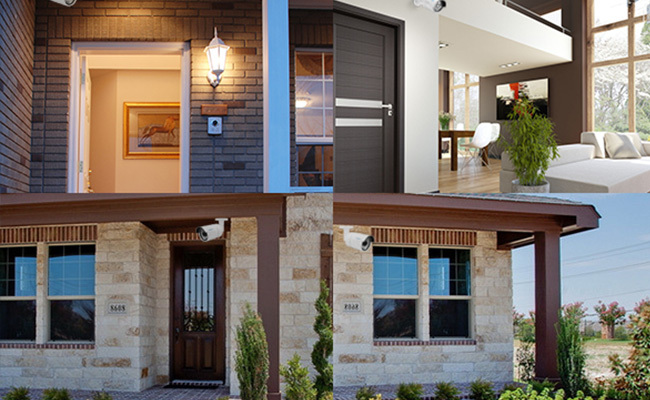 While the smart home camera systems, for example, the wireless security cameras and PoE security cameras can easily monitor the property such as front door, backyard, garage, and driveway around the clock. 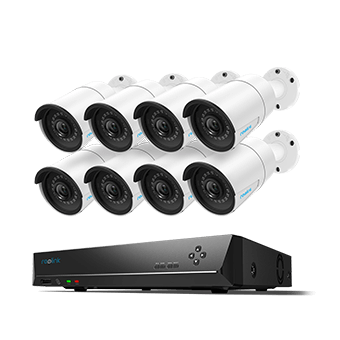 8 pcs 5MP/4MP Security Cameras; 3TB HDD 16-Channel NVR for 24/7 Reliable Recording; Plug & Play; 2 Network Solutions. 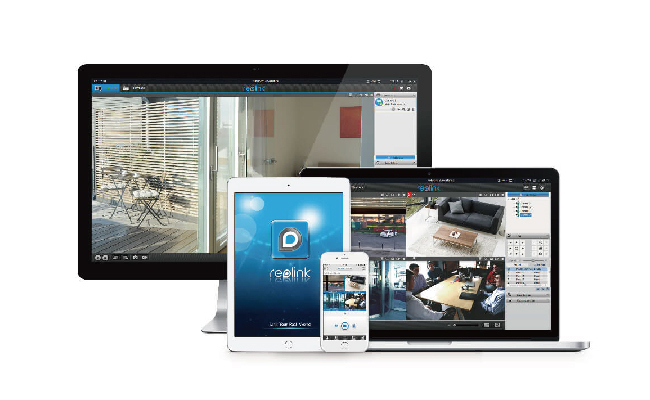 Combined with Network Video Recorders (NVR) such as Reolink 8-channel NVR and 16-channel NVR, the security system manages multiple cameras simultaneously and provides 24/7 continuous recording and monitoring. Compared with flying drone security cameras, stationary cameras also deliver more stable and steady viewing experience. Unless the home surveillance drones are packed with motion sensors, the availability of motion detection feature is not guaranteed. For example, Sunflower Home Awareness System is alleged to be packed with 360° motion sensors embedded in the Smart Light, which can trigger alerts and send notifications to smartphones. Similarly, some smart home security cameras such as PTZ cameras RLC-423, meanwhile, can rotate horizontally and vertically to sweep across a wide swath of area. Meanwhile, built-in motion sensors can prompt motion alerts once movement is picked up. 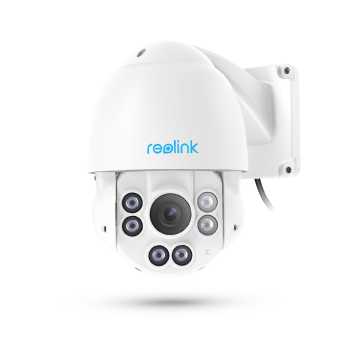 What’s more, Reolink sensor-packed security cameras, in order to reduce unwanted false alarms, can be adjusted to accommodate different monitoring needs by scheduling motion detection and areas of monitoring on apps. Some home security drones could be equipped with advanced infrared sensors to conduct surveillance at night, for example, Airborne Drones. Nevertheless, it won’t make a big difference if they do come with night vision considering the fact that the drones for security surveillance could be on standby and not in working mode at night without further commands. However, smart home security camera systems are equipped with infrared sensors, which can monitor the house continuously and provide 24/7 surveillance without further human intervention. 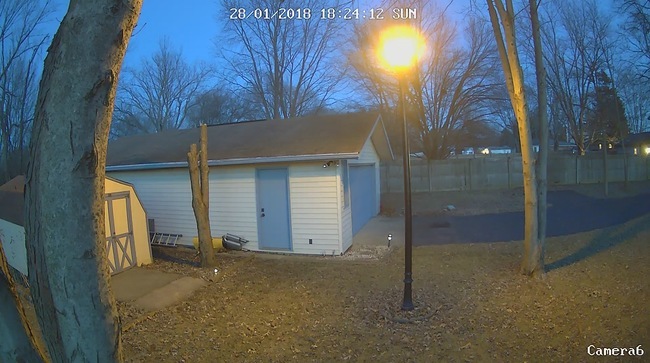 Below is the color night vision image captured by the battery security camera Reolink Argus® 2. The price for home security surveillance drones varies, so does the price for security cameras. The price tag for home security drone offered by Sunflower Lab, for instance, is projected to be $159 per Smart Light and $799 for the Flying Camera, and the gears are open to purchasing or rental service. Prices of home security cameras, on the other hand, normally start from $54.99 (or even lower), catering to different budgets and various monitoring needs. Another factor you need to consider about the personal home security drones with cameras is constant subscription and monthly fees, which could be overwhelmingly expensive in the long run. 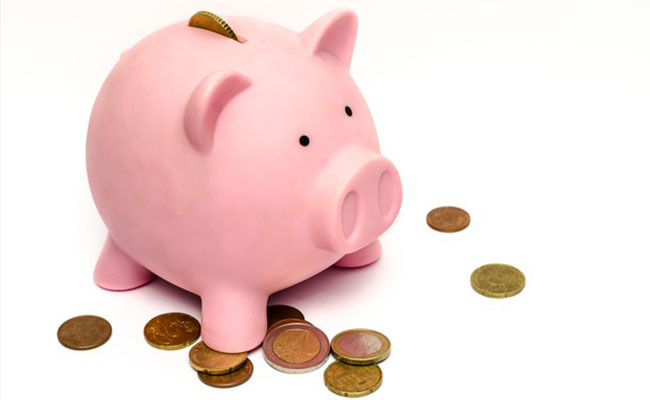 some top security cameras brands, however, charges no monthly fees. In sharp contrast to the security drones for sale, the no-contract home security systems’ cost-performance ratio is unparalleled. Increasing prevalence of home security drones used by individuals is sparking concerns about trampling on the right to privacy, which has been on the decline after the advent of affordable surveillance technology. Even though some companies calm the potential customers that the drone home security systems will not infringe on neighbor’s privacy because the drones for home security will only be deployed when something aberrant is detected. No invasion of neighbor’s privacy, however, could be an overstatement given that most urban areas are thickly populated, and a drone surveillance system will somehow capture images that might imply otherwise. No doubt, if other outdoor security systems overstretch itself into the street or backyard of neighbors, it surely raises similar concerns as well. But for the smart home security cameras, all these hassles could easily be resolved by adjusting the pointing angle. The growing popularity of home security drones has been gaining regulators’ attention for few years, regulations and legislation on the non-recreational use of drone security systems are in place to better minimize national security concerns. Taking the drones for security surveillance in the U.S. as an example, registration on FAA site is mandatory if the drones for home security weigh more than .55 pounds and less than 55 pounds for all American citizens and legal permanent residents, according to Federal Aviation Administration. 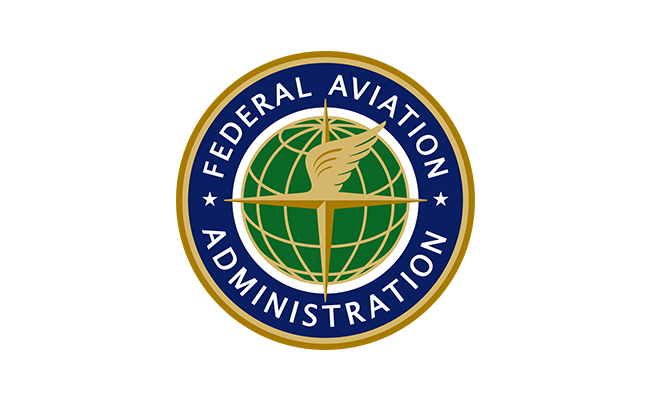 Different applications or permissions are needed for other civilian drone owners. Many newly launched quadcopter drones could fall into such spectrum, which means registration proposal for the home surveillance drones could be in the pipeline. In other countries like the UK, growing concerns were voiced toward drone quadcopter in the commercial and civilian use. The use of a drone security system is subject to the regulation of UK Civil Aviation Order, according to UK Civil Aviation Authority. On the other hand, regulations on the use of home security system are less complicated than security drones in the USA or elsewhere. On areas where people are entitled to a high level of personal privacy, for example, bathrooms, locker rooms, changing/dressing rooms, bedrooms, etc., surveillance cameras are forbidden. Though, it is highly recommended that you consult with legal professionals to comply with all local regulations prior to utilization of video surveillance and monitoring. The safety risks associated with home security drones should also be taken into account. It is reported that US army asks units to stop using DJI drones due to the cyber vulnerabilities. The data mined by DJI from your provided flights, including images, videos and your audio can be accessed without your knowing consent. 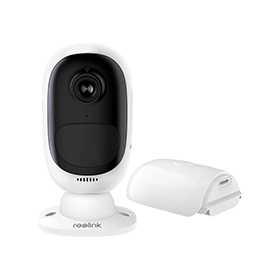 When it comes to the smart home security systems, you may avoid those unsecured brands and go for the ones that are secured by multi-level security features, like Reolink, which are featured with SSL encryption, WPA2-AES encryption and SSL-TLS enabled to prevent peeking eyes. It would be exciting for millions of homeowners especially younger millennial to monitor their home and property in different ways like private drones. Undoubtedly, owning such home drone monitoring system will be awesome after all the legal concerns are eliminated. But solely depending on one system to protect your property is far from enough. Coupled with the reliable smart home security camera systems, however, your home will be much safer and securer around the clock. This entry was posted in Home Security FAQs and tagged drones, home security, security systems, smart home. How are they kept from the elements? Freezing rain,snow,sleet,hail, and other such things. Is there a base station? Hi, Rusty, security cameras with IP65 or higher rating are able to work in the outdoor environment, withstanding freezing rain, snow and other harsh weather conditions. And all the IP cameras and systems mentioned above require no base stations and subscription fees. Hope this helps.